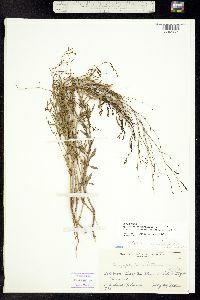 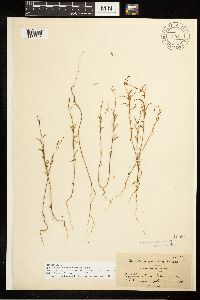 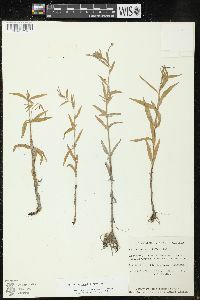 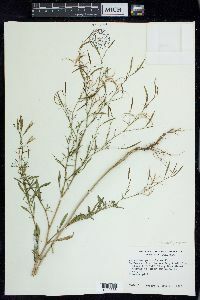 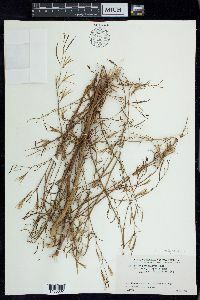 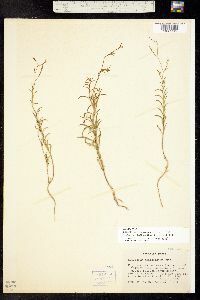 Duration: Annual Nativity: Native Lifeform: Forb/Herb General: Herbaceous annuals, to 2 m tall, stems glabrous and peeling proximally, strigose and generally glandular-hairy distally. 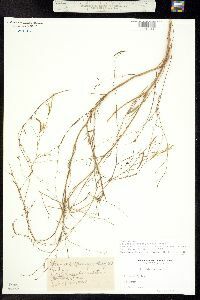 Leaves: Opposite proximally or clustered in axils, linear to narrowly elliptic with acuminate tips, generally folded along the midribs, 10-55 mm long, with fine-toothed margins, surfaces glabrous with obscure veins, generally early-deciduous, borne on petioles 0-4 mm long. 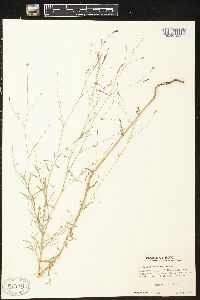 Flowers: White to rose-purple, open and radial with 4 deeply notched petals 2-20 mm long, sepals 4, erect, 1-8 mm long with acute tips, sometimes purplish, stamens 8, anthers attached at the middle, the pollen grains creamy yellow and generally shed in 4s, ovary chambers 4, stigmas 4-lobed, hypanthium 1.5-16 mm long, flowers with subtending bracts, borne in panicles or racemes. 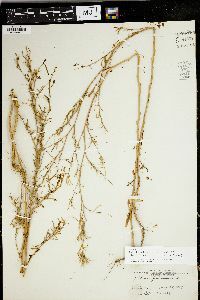 Fruits: Cylindric to club-like loculicidal capsules 15-32 mm long, these more or less straight with glabrous or glandular surfaces, borne on pedicels 1-17 mm long. 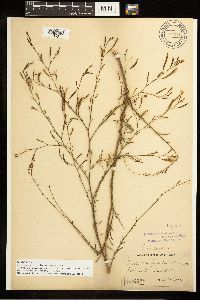 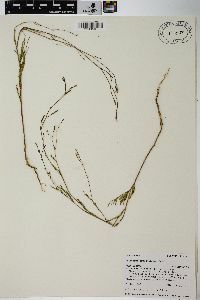 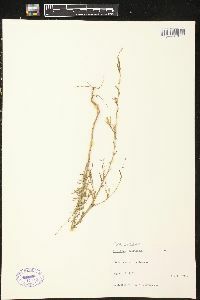 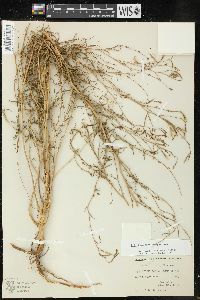 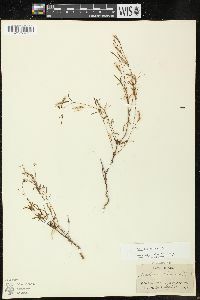 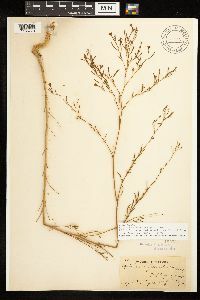 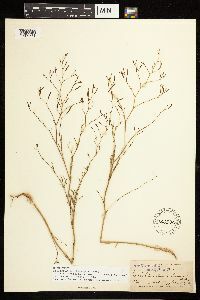 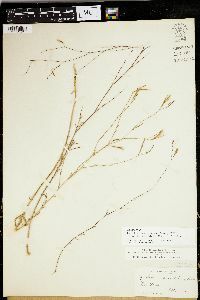 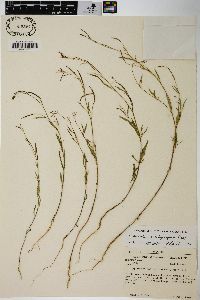 Seeds 1.5-2.5 mm long, with papillate surfaces and deciduous tufts of white hair, generally in 1 ro Ecology: Found in dry open or disturbed areas, woodlands, grasslands, and roadsides, to 11,000 ft (3353 m); flowering June-September. 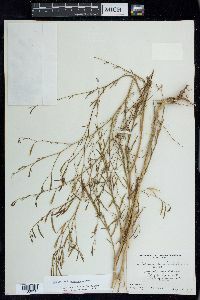 Distribution: Found in many states in the western portions of the United States, including much of the southwest like Arizona, California, Colorado, New Mexico, Oregon, and Utah, not found in Texas, Oklahoma, or Kansas. 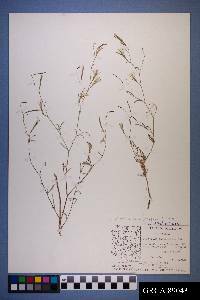 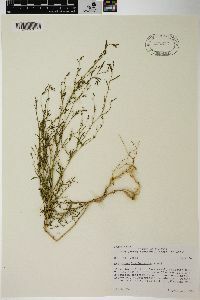 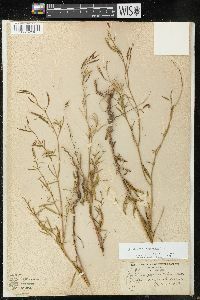 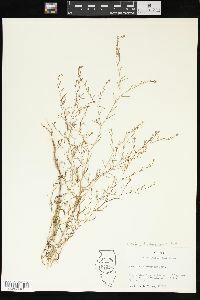 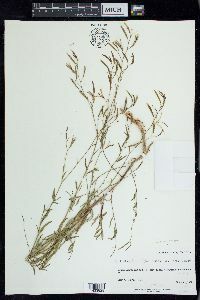 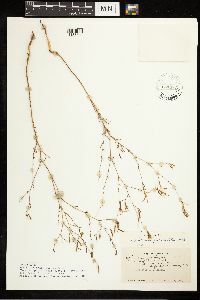 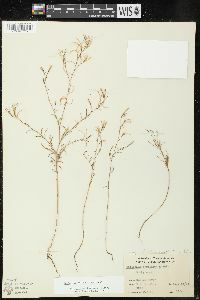 Notes: This species has long, slender green stems, tufts of linear leaves, and fairly small, pink flowers with 4 slender, deeply notched petals, these with conspicuous veination on their surfaces and sometimes darker pink throats. 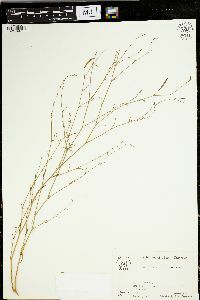 Jepson notes that this species is highly variable, especially the size of the flowers. 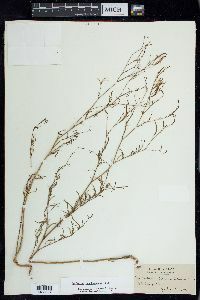 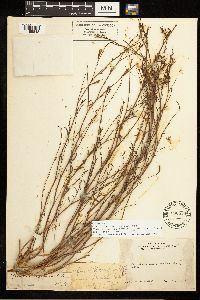 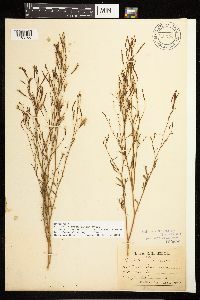 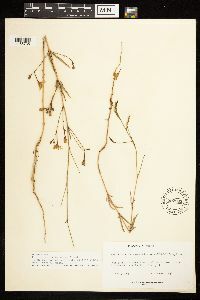 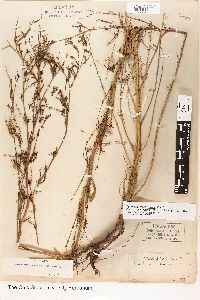 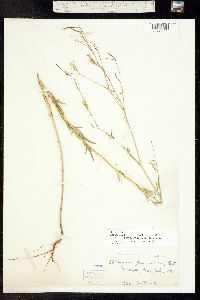 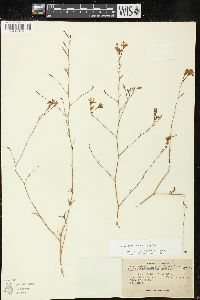 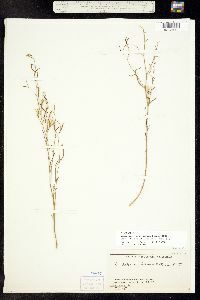 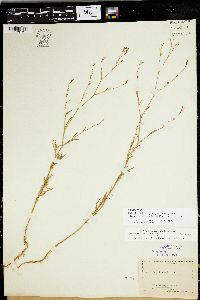 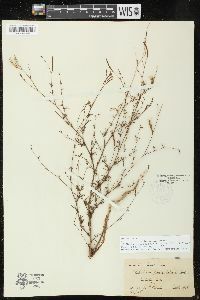 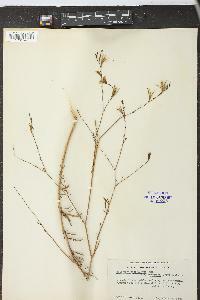 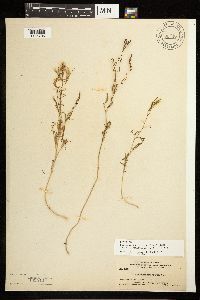 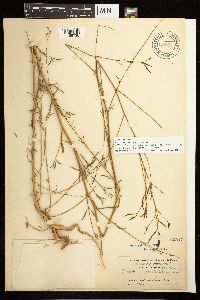 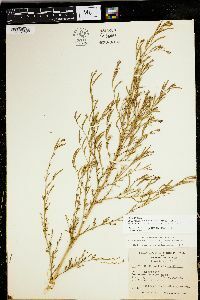 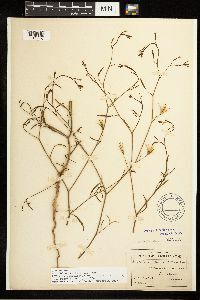 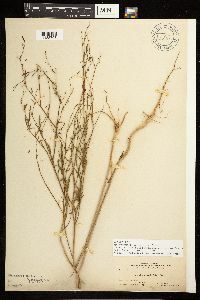 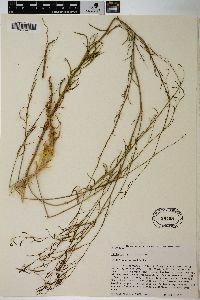 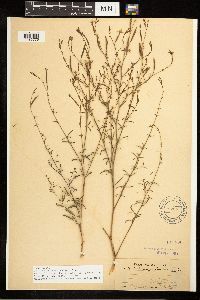 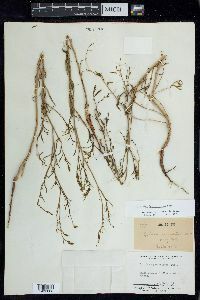 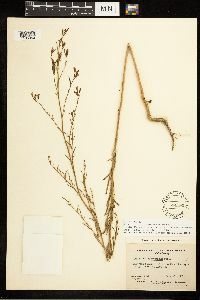 Look for this species under E. paniculatum (and many of its varieties) in older texts. 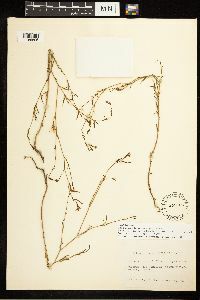 Kearney and Peebles consdier this a polymorphus species of wide distribution occurring in Arizona in 3 differnt forms, see pg. 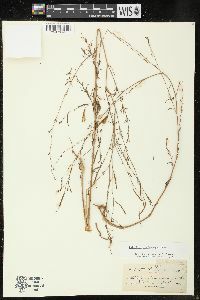 591 for more information. 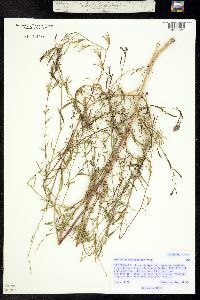 Ethnobotany: Infusion of plant tops applied to the hair as a conditioner for dandruff and hair manageability. 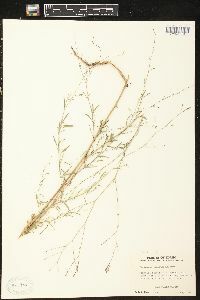 Synonyms: Epilobium paniculatum Editor: LCrumbacher2012 Etymology: Epilobium comes from 2 Greek words epi, "upon," and lobos, "a pod or capsule," as the flower and capsule appear together, the corolla being borne on the end of the ovary, and brachycarpum means having short fruit.